Following the resurgence of building development projects and greater confidence in the growth of the economy, developers are seeing significant investment opportunities into major warehousing, logistics, retail parks and office buildings. These developments traditionally require environmental impact assessments and in some cases Environmental Statements to address any likely significant environmental effects. 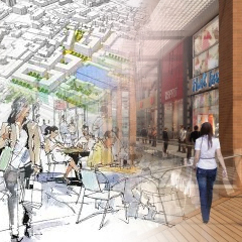 Southdowns has a track record in advising on major UK schemes including: Preston Town Centre Re-development, Bracknell Masterplan, Cardinal Place Victoria, Purley Town Centre, Stonebridge Cross, Logistics Warehouse Stoke, UPS Depot Sussex, Hastings.